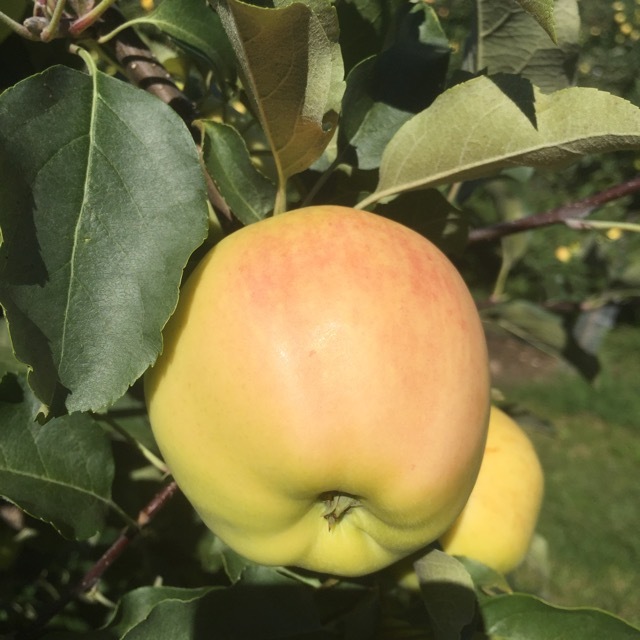 Not much change in apple maturity this week, however, things are moving along. Cooler nights will help to bring on some color. I have some concerns about quality issues with the hot summer, and fruit size is still on the small side for those who have not received much rain. 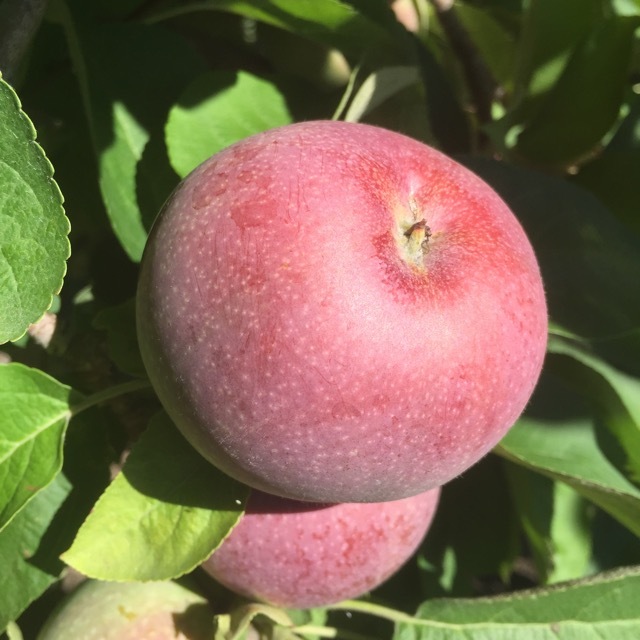 (Let us know if you think there is a yield reduction due to small fruit size and the drought, and fill out the drought survey here: https://www.surveymonkey.com/r/72TY7JF. ReTain application to McIntosh and even Honeycrisp now should be ongoing. I like Dan Donahue's comments on how the season has affected apples, so I have re-printed below. I think he is spot-on. I think we are pretty well done this year. We had a question recently posed about leaf mines (quite a few). It's too late, however, to do anything about it now. We are likely into 3rd generation flight of leaf miner, and this adult generation, should it mate and lay eggs now, will not pose a further problem with leaf mines. In fact, treating now with an effective insecticide might do more harm than good by killing predators of the leafminetr, thus resulting in even a bigger problem next year. So, if you have a lot of mines now, they are from the 2nd generation, which is the one that should have been treated. (1st generation too.) Make a note of it for next season, early in the year. NEWA actually has a pretty good leafminer model/explanation of pest stage/treatment options here. It is advised to hang pheromone traps to monitor pest activity and set biofix for treatment (next year). Again, we are pretty well done here except for later harvested varieties which may/may not need further fungicide coverage for summer diseases (sooty blotch and flyspeck, fruit rots) depending on rainfall, harvest date, etc. If you want more, NEWA has guidance on status and treatment of sooty blotch and flyspeck here. ReTain with or without NAA (Fruitone-L, Pomaxa, 8 oz. per acre or 10 ppm)? That is the question. Here is my take: if you want to absolutely minimize pre-harvest drop -- and it might be bad this year -- then apply ReTain and NAA centered app. two weeks before you think bad drop might set in AND you can get the fruit off the trees. (Then plan on harvesting it within a week or so.) If you just want to delay harvest and extend the pick, well ReTain (multiple applications) alone might be your best (and safest) bet. (Although I am pretty sure there are multiple ReTain/NAA applications going on out there in PYO orchards which have been successful? Yes? No?) Remember, NAA by itself will give you good short-term drop control, but once it's effect wears off, stand back. But adding ReTain to NAA helps dampen that tendency for fruit to let go once the NAA wears off. Fruit going into storage should only be treated with ReTain IMHO. Also keep in mind, just because you hang the fruit on the tree for a long time -- like into October -- does not mean it's going to maintain optimum quality. I think we have backed off the recommendation a bit to automatically add NAA to ReTain. (In fact, recent conversation with Duane Greene has trouble to find justification for spraying NAA with ReTain.) ReTain plus NAA has it's applications, but is not right in all cases, where ReTain alone is a sure thing almost anytime. Ultimately, it's up to you, and frankly there are a lot of factors to consider when making this decision, especially given the fact that every year behaves a bit differently. An extraordinary mild winter raised havoc with the apple crop this year. The early accumulation of heat units led to McIntosh green tip at the Cornell Hudson Valley Research Lab on March 16th, three weeks earlier than average. Development continued at a faster than normal pace, reaching ½” green to early tight cluster by April 5th. Disaster struck on the evenings of April 5th and 6th as temperatures dipped into the single digits in Columbia County, and the low teens in Ulster. According to published cold injury charts, flower bud mortality should have been close to 100%. In reality, a substantial number of buds resumed development. At pink stage, the weather cooled, with the bloom period being cold, wet, and much longer than normal. Quality pollination appeared questionable. While viable bloom did emerge, the quality of fruit set was considered to by uncertain, at best. Concern over poor pollination conditions, cold injury to spur tissue, and what unseen damage lurked in the tree caused pomologists to be very cautious with thinning recommendations in mid-May. As the days progressed, the crop began to look stronger. Early season efforts at chemical thinning were ineffectual due to low rates and cold conditions. Some grower decided to forgo chemi-cal thinning entirely, resorting to hand thinning later in the season. By May 23rd it became more clear that surviving flowers with viable pistils (most flowers) that set fruit weren’t going to drop off on their own, CCE ENYCHP issued an E-Alert suggesting that chemical should be used at normal rates based on the NEWA carbohydrate model. The resulting crop has a “clumped” distribution on the tree, reflecting the loss of the king bloom, along with a high degree of set of the side bloom, and poor chemical thinning performance. In late June, growers and industry professionals estimated the Hudson Valley crop to be 70% of the 2015 crop. 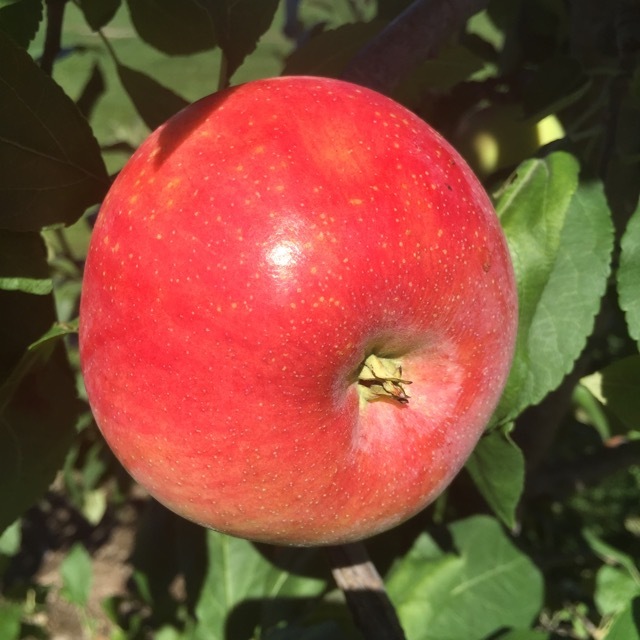 Maturity estimates calculated in early August resulted in a prediction of Gala, Mac’s, and Honeycrisp running three days earlier than 2015. As this is written, Ginger Gold harvest is underway. Anecdotal reports from the field indicate early apples are picking out at 50%, with a significant degree of scarring and russetting. Size on early apples have been smaller than expected, especially since soil moisture conditions have been generally adequate to date. 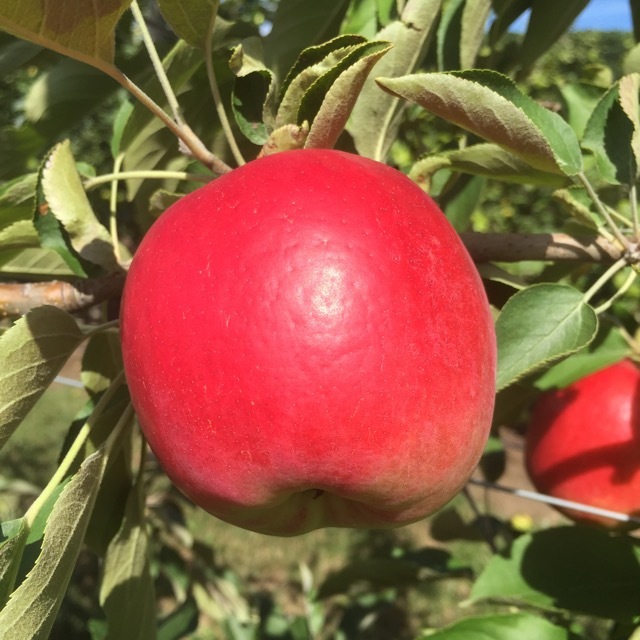 Data from apple maturity testing conducted on August 15-16 supported earlier observations that this season is running a few days earlier than last year. Fruit surface defects will continue to be a concern. The next official Healthy Fruit (maturity report) will be published on Tuesday, September 6, 2016. As always feel free to get in touch with any member of the UMass Fruit Team (http://extension.umass.edu/fruitadvisor/team-members) if you have questions or comments.